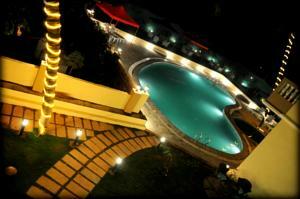 About 500 metres from Candolim Beach, Sukhmantra Resort & Spa provides an outdoor pool and free Wi-Fi. A multi-cuisine restaurant, as well as 24-hour room service, is available on-site. Parking is free of charge. Featuring modern decor, all air-conditioned rooms are fitted with tiled flooring. A 32-inch flat-screen TV, personal safe and balcony are included. En suite bathrooms are equipped with a hot-water rainshowers and a hairdryer. Sukhmantra Resort & Spa is 3.5 km from Sequrim Beach and 5 km from Aguada Fort. It is within 10 km from the Tibetian Markets, Saturday Night Market and the city centre. Dabolim International Airport is 45 km away. The resort provides laundry and dry cleaning services. Airport transfers can be arranged, at an extra charge.